The CBO reports on the ACA repeal bill using flawed data. 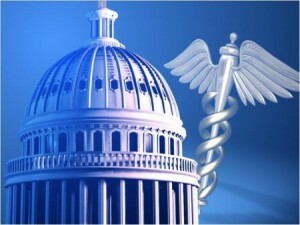 In the next few weeks the Senate will start the process of reviewing the Republican bill to replace the Affordable Care ACT known as the American Health Care Act. In May 24th, the Congressional Budget Office released their report on the AHCA, the Republican bill to repeal and replace the Affordable Care Act and it was none too flattering. The most shocking claim in the CBO’s report was their estimate that 23 million fewer Americans will have health care coverage by 2026 if the ACA is repealed and replaced with the AHCA. The ink wasn’t even dry on the CBO report before most major news organizations regurgitated this line as fact without a second thought. But looking deeper into the CBO report reveals the flawed data they are basing their estimates on. First and foremost, the CBO refused to take into account the reality of the failed ACA. When the CBO says that 23 million fewer Americans will have coverage under the proposed AHCA than the current Affordable Care Act they are assuming that 18 million Americans will be enrolled on the existing Exchanges by 2018. Currently there are just under 11 million Americans enrolled in health plans on the Exchanges and those numbers are going down according to the latest Gallop polls. The data used in the CBO report also assumes that the non-existent additional 7 million enrollees will continue with coverage through the Exchanges into 2026, the year the CBO claims 23 million less Americans will have health coverage. The most recent report on the Federal Exchange shows that rates have increased 105% on average from January 2014 to January 2017. Rates are expected to increase by another 30% nationwide in 2018. Carriers continue to leave the Federal and State Exchanges leaving consumers with fewer choices and plan options. Add to that an Executive branch that seems determined to end the individual mandate and the premise that enrollment in the Health Exchanges will increase by 60% by next year and continue those enrollment number through 2026 have no place in reality. I don’t deny that based on what I know of the AHCA that fewer Americans may have health care coverage and I’m not convinced that the bill put forth will address all the problems we face as we move forward in replacing the ACA, but I do know that now is the time for putting forth new ideas and debating the best way to move forward with health care reform. A report from the CBO using incorrect data gives those opposed to any changes to the current health care law more ammunition to silence discussion on what is the best way to fix the mess created by the ACA.